ONE-OF-A-KIND DOUBLE LOT LOCATED IN THE HIGHLY DESIRABLE PARKWAY SECTION OF MARGATE ON RUMSON AVENUE WITH POTENTIAL FOR PURCHASER TO ADD AN IN-GROUND OVERSIZED, LARGE POOL! This newer 5 bedroom, 3.5 bath beautiful home on 83x80 lot features a front porch, spacious open floor plan including family room with fireplace, beautiful built-ins and dining area. Gourmet kitchen with stainless steel appliances and custom cabinetry. Master suite on second floor with soaking tub and shower. Two additional bedrooms and full bath on second floor. And third floor offers two more bedrooms and a large full bath. Laundry room on first floor. 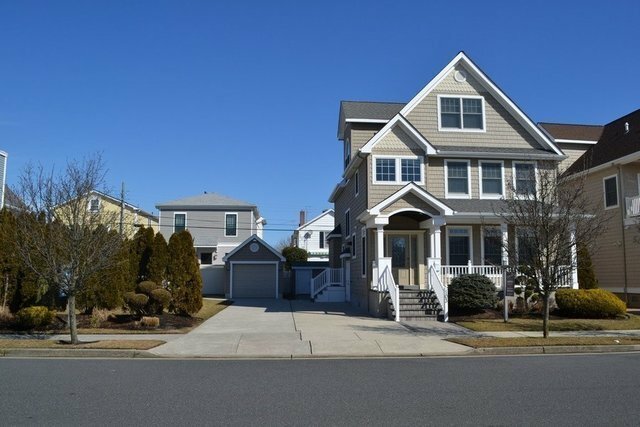 This premier residence with an amazing sprawling side yard is also just a few short blocks to the beach! Ready for you to enjoy this summer!